The auto-correct feature has struck again, this time prompting two north Georgia schools to go on lockdown after a student’s text message was changed and then mistakenly sent to the wrong number. Auto-correct can sometimes be helpful. According to the Gainesville Times, the student texted a message that was meant to read "gunna be at west hall today." However, the auto-correct feature on the smartphone changed "gunna" to "gunman," so the text read "gunman be at west hall today." The surprised recipient reported the troubling text to police, who notified the West Hall middle and high schools to go into lockdown while they investigated the text. Police eventually traced the text to a student, who explained the whole situation. "It was a combination of odd circumstances," Sergeant Stephen Wilbanks of the Hall County Sheriff's Office told the paper. "We want to emphasize that the recipient did the right thing in reporting the message." This incident comes just three days after a school shooting in Ohio that left three dead and two wounded. Anyway, this is why you should turn the auto-correct feature off on your phone (the report did not indicate which type of smartphone the text was sent from). 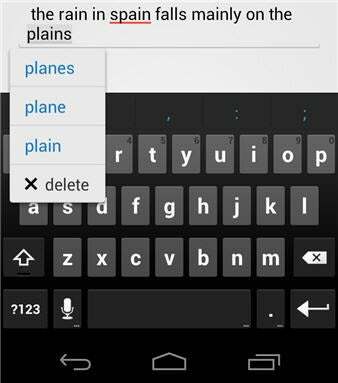 Auto-correct seems to cause more headaches than anything. At least most auto-correct mishaps are funny, rather than threatening.